ONEIDA NATION HOMELANDS (NY)– Renowned boxing legends and International Boxing Hall of Fame inductees Mike Tyson and Larry Holmes will participate in an exclusive, live discussion at the Turning Stone Resort Casino Showroom on Wednesday, June 4, at 6:00 p.m. This once-in-a-lifetime opportunity, “Kings of the Ring: A Conversation with Mike Tyson and Larry Holmes,” will feature an open dialogue between the two world-class heavyweights. They will recount their famed 1988 championship fight,reflect on their remarkable boxing careers, and take questions from the audience. Longtime sports columnist for the Syracuse Post-Standard and Syracuse.com, Bud Poliquin, will serve as moderator. 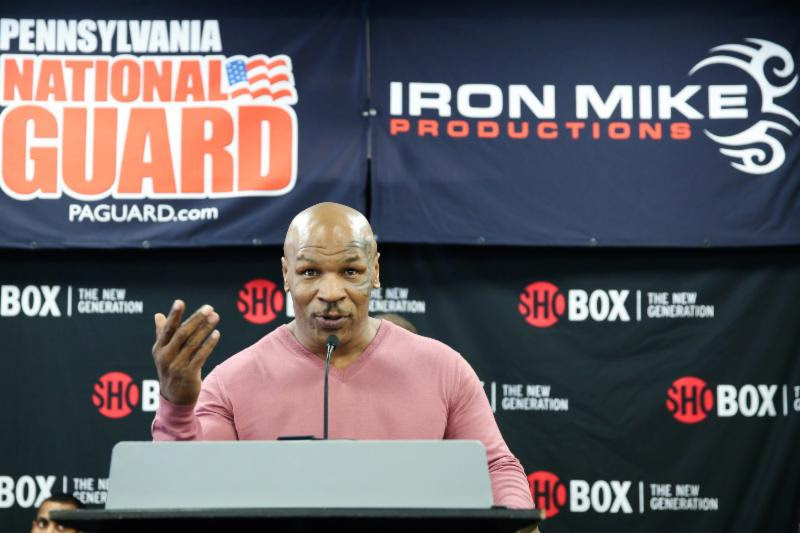 This behind-the-scenes dialogue will take place just two days ahead of the June 6 bouts at Turning Stone Resort Casino that will be featured on ESPN’s Friday Night Fights and promoted by Tyson’s Iron Mike Productions. The nationally televised fights will be Tyson’s second appearance at Turning Stone within the past year. He made international headlines last August for his debut as a boxing promoter and intensely personal revelations at the event’s press conference. With strong roots in Upstate New York, Tyson has effectively established Turning Stone as his hometown ring. Turning Stone’s world-class, four-season resort continues to distinguish itself as a premier destination for boxing. In addition to Tyson’s recurring appearances, boxing great Floyd Mayweather Jr. also appeared at Turning Stone earlier this year for his promotion of Showtime’s “SHOBOX – The New Generation” bouts. “Kings of the Ring: A Conversation with Mike Tyson and Larry Holmes” is free and open to the public, Wednesday, June 4 at 6:00 p.m. in the Showroom at Turning Stone Resort Casino.